Every restaurant owner wants to be successful! When you reach that point in your quick service restaurant you may wonder how your restaurant can continue to grow. The worst thing you’ll ever see is customers entering your restaurant only to discover a long wait to order. When these guests walk back out the door through which they just entered their money goes with them. You can use Online Ordering with Point of Success to keep those customers! Invite guests to order and pay on your ordering web site to eliminate waiting in line, freeing up your customer service staff to help other guests. Lines move faster, you keep guests you may otherwise lose and your successful restaurant continues to grow! 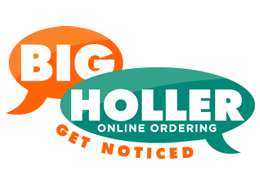 You can learn more about Online Ordering with Point of Success here.